In the U.S., apart from federal, state, and local government websites which must meet Section 508 regulations, there are no enforceable ADA legal standards to follow for website accessibility. However, just because there is no straightforward set of legal requirements for website accessibility does not mean that your business will not be presented with a lawsuit. This has understandably raised alarm. Fortunately, there are standards in place that unifies development and allows the world to use web-based solutions with universally accepted protocols. We know these standards as the World Wide Web Consortium, or W3C. In the U.S.A., this is referred to as the ADA Title III, Public Accommodations and Commercial Facilities. It has not been updated to include websites and online applications. Legally enforcing website accessibility remains under discussion by the U.S. Government. 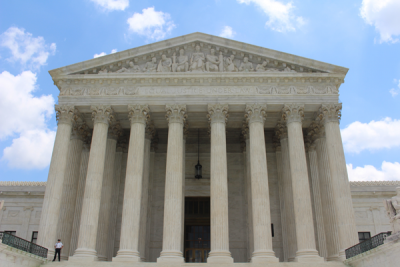 Navigating the History of Website Accessibility & the Law in the U.S. Even though there are accessibility standards and guidelines to follow, companies are not legally bound to apply them in the United States. There is no official set of website accessibility standards or criteria set forth by the Department of Justice for businesses to legally comply with, other than Section 508 under Title II. So why are there so many lawsuits? On July 26, 1990, the late President George H.W. Bush signed into law the Americans with Disabilities Act (ADA), which is a civil rights law prohibiting discrimination on the basis of disability. Its purpose is to protect the rights of individuals with disabilities for employment, access to state and local government services, places of public accommodation, transportation, and more. On July 26, 1991, the DOJ issued its final rules for following Title II and Title III but neither addressed website accessibility. Title II of the ADA applies to state and local government entities. It protects individuals with disabilities from discrimination on the basis of disability in services, programs, and activities provided by state and local government entities. What we refer to as Section 508 web accessibility falls under Title II. Title III prohibits discrimination on the basis of disability in the activities of places of public accommodations. These are businesses that are generally open to the public and there are 12 categories, including schools, recreation, offices, and medical buildings. Your ecommerce website and public mobile applications fall under Title III. In June 2003, in recognition of how the Internet was transforming interactions between the public and governmental entities, the DOJ published Accessibility of State and Local Government Websites to People with Disabilities, to provide state and local governments guidance on how to make their websites accessible and ensure that persons with disabilities have equal access to the services, programs, and activities that are provided through those websites. Title III was not included with this update. The gap between government and public website accessibility began to confuse companies that conduct online business with the government and schools with websites, such as universities that accept federal financial aid. There have been attempts to add website accessibility enforcement support over the years. Each has been met with failure. On September 30, 2004, the DOJ began the process of updating the 1991 regulations based on the relevant parts of the ADA and Architectural Barriers Act Accessibility Guidelines by publishing an Advance Notice of Proposed Rulemaking(ANPRM) and inviting public comment. On June 17, 2008, the DOJ issued a Notice of Proposed Rulemaking to adopt the revised 2004 ADA/ABA Guidelines and revise Title II and Title III regulations. The 2008 NPRM addressed the issues raised in the public’s comments to the 2004 ANPRM and sought additional comments. Neither the 2004 ANPRM or 2008 NPRM included a proposal for web accessibility provisions despite public comments urging the DOJ to issue web accessibility regulations under the ADA. The ADA Amendments Act of 2008 went into effect on January 1, 2009. On July 26, 2010, the DOJ published an ANPRM titled Nondiscrimination on the Basis of Disability; Accessibility of Web Information and Services of State and Local Government Entities and Public Accommodations. This was the first attempt to include website accessibility enforcement. On September 15, 2010 Titles II and II were revised again and called the 2010 ADA Standards for Accessible Design. They did not include web accessibility. Hopes were raised when in the fall of 2015, the DOJ released a Statement of Regulatory that included three paragraphs on website accessibility. In April 29, 2016, the DOJ issued a new SANPR called “Nondiscrimination on the Basis of Disability; Accessibility of Web Information and Services of State and Local Government Entities”. It is one of four ADA rulemaking documents that were removed and are now archived. This particular document provides real insight into what’s complicating matters and why the government is unable to come up with any formal legislation on website accessibility. It’s worth reading if you want to understand the history and read the public comments. Next, the House of Representatives introduced H.R.620, ADA Education and Reform Act of 2017 which stalled in the Senate. There were many issues with it, from costs to the lack of what accessibility standards would be enforced and most importantly, the responsibility for resolution fell to the disabled plaintiff, not the business. On June 20, 2018, 103 members of the U.S. House of Representatives drafted a letter to then Attorney General of the Justice Department, Jeff Sessions, regarding the flood of lawsuits and the ease of litigation when there are no legal standards to follow. On September 25, 2018, the DOJ responded in a letter to Congressman Ted Budd. It references the withdrawal of the four rulemaking attempts to address website accessibility and the ADA and why. The DOJ is “evaluating whether promulgating specific web accessibility standards through regulations is necessary and appropriate to ensure compliance with the ADA.” It references two Executive Orders covering the reduction of regulations and controlling costs. So basically in the U.S., it is your choice. Preventing anyone from conducting tasks online is risky. Since there is little in the way of federal website accessibility law, some states are moving forward with their own decisions. Last year the first case to go to trial occurred in Florida. It resulted in Winn-Dixie (Gil v. Winn-Dixie) being required to pay $250,000 to bring its website up to WCAG standards. That case is now being used in oral arguments in an appeal for a case against Dominos (Robles v. Domino’s Pizza). In 2017, 7,663 ADA Title III lawsuits were filed in Federal Court, 1,062 more than 2016. Compare that with 2013, when there were only 2,722 cases. Of those filed in 2017, a small number were for websites. Although one law firm projected a 30 percent increase in website accessibility cases for 2018, Usable.net tracked 2,285 website lawsuits — up 181 percent over 2017. The use of assistive devices enables disabled persons to gain access to digital properties which may or may not be ready for them to use once they arrive. Can they book a hotel room from their mobile device using voice commands? Where does website accessibility fit with search engines and answer engines? Ecommerce sites have long been targets for lawsuits. The store brand, Target, lost their case and it cost them millions. Nearly every well-known store brand, including Amazon, has faced an accessibility lawsuit. Other verticals seeing legal challenges are hotels, travel, healthcare, financial institutions, and educational facilities. Online courses, mobile applications, and progressive applications are next. Another area presenting barriers to accessibility is how websites are made. Low cost, pre-fab, template-driven websites are less likely to be accessible and their owners not educated on what they need to know. WordPress was in the news for allowing Gutenberg to be released to the public before meeting accessibility compliance for developers using assistive devices. Design for inclusion is hot for 2019. From a branding and reputation perspective, search engines, conversions, revenue, and customer service brownie points, designing for accessibility is strongly recommended. Companies with digital properties that are looking for investors would be wise to consider meeting accessibility standards, especially if looking to be attractive to potential buyers. For any online business, an accessible website may be your competitive advantage. Often do not have trained employees. Don’t understand their target market. Are simply unaware of the various needs of their users. This may no longer be an option. This article is adapted from my longer one published in the Search Engine Journal.